Periodically I am asked to recommend a Merton book or two to people who are interested in learning more about his life and work. I think everyone who has been influenced by Merton would answer this question differently, depending on their individual perspective. I don’t claim to be a Merton scholar. I am not interested in most of the academic questions that emerge about him, nor do I care to construct a cohesive or systematic theology from his work. There are plenty of people working on those questions and issues. The list I offer is focused on the works that have been most influential on my life, and therefore is completely subjective. Feel free to let me know what you would add, remove, or replace. This is where it all started for me. The book is perhaps the best I have ever encountered on Christian mysticism and its role in the spiritual life. It begins by clearly defining the crisis of late modernity, the myth of endless of endless progress, and its impact on both human society and the individual. 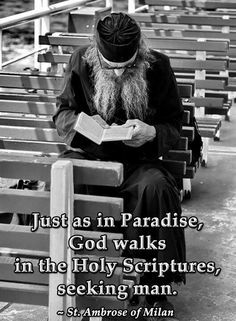 Drawing from the riches of Spanish Carmelite mystic St. John of the Cross, Merton calls his readers to seriously and systematically engage in a contemplative life that is not merely naval-gazing or escapist, but one that fully engages the world. I love this book, which is why it is at the top of my list, but it may not be the best starting point, especially if you don’t have at least some passing familiarity with Christian mysticism. Covering some of the same ground as Ascent, Contemplative Prayer is a brief work that draws on monastic spirituality as a source for Christian practice. It is not a manual of prayer, nor is it a how-to book. Rather, Contemplative Prayer is more of a vision and apologia for a spirituality formed by silence. Another of Merton’s brief works (=/- 120 pages), Life and Holiness can and should be read in conjunction with Contemplative Prayer. Merton lays out a theology of holiness, which he distinguishes from a life of perfection, and moves to a discussion of what such a life entails. If you can find the 1996 Image/Doubleday edition that includes Henri Nouwen’s introduction, get it. Nouwen rightly describes the book as the book he would, “…give to someone who wants to know what being-a-Christian looks like.” I don’t think I could sell it any better than that. Written at a time when Merton had been allowed to live away from the rest of his cloister in relative solitude, this is a book of meditations on the spiritual and contemplative life. It contains the famous prayer, “My Lord God, I have no idea where I am going,” which is worth the cost of the book (though you can find it for free here). Thirty-nine chapters covering spiritual discovery and conversion of the heart. For Merton, God is never an abstraction, Christianity never merely a series of nice ideas, but both are living realities we must encounter. The encounter is not a hidden gnosis reserved for the spiritually elite, but one open to every believer. The Christian life is above all participation in the divine reality. Ok, I know what you are thinking…what about Seven Storey Mountain? I have to level with you, as well-loved as this book is, I have a hard time with it. There are some exceedingly beautiful passages in the book that make it a rewarding read, but it often feels like a tome that must be waded through. I know many people who start here and never finish, and then never develop an appreciation of Merton. As such, while I think it ought to be read at some point, I do not feel it the great starting point that so many other Merton lovers do. So I include it here as my plus one. Read it, but no need to read it first, or even second. This post was inspired in part by a post from Carl McColman on his blog that can be found here. Today, Pope Francis addressed the United State Congress. I’ll not rehash or critique what he had to say, as those sorts of opinions are widely available. What I would like to do is just ramble a bit about part of his speech. The Pope framed his speech by talking about the contributions of four Americans: two Catholics and two Protestants. There is little doubt that most Americans are already familiar with Dr. King and President Lincoln, our two Protestant representatives and men who bravely gave their life for the cause of liberty and justice. The two Catholics are less familiar to many. Dorothy Day was a Catholic convert who founded the Catholic Worker’s Movement. Like Pope Francis, she is often accused of socialism, though she was more precisely a proponent of distributism, and a vocal advocate for non-violence and the poor. There is plenty of information available about her, so feel free to jump on Google. I understand she is trending right now. The Pope also mentioned Thomas Merton. He didn’t say much about Merton, other than to say, “above all a man of prayer, a thinker who challenged the certitudes of his time and opened new horizons for souls and for the church. He was also a man of dialogue, a promoter of peace between peoples and religions.” This is true. I, however, know Merton as the writer who changed my life. After years in Christian fundamentalism, I walked away from Christianity with no intention of every returning, until one day I saw a picture in a world religions textbook of two men standing together. One was a young Dalai Lama. The other was Thomas Merton. I was intrigued. I soon picked up my first Merton book, The Ascent to Truth. I wouldn’t recommend this as the beginning point of contact with Merton for most folks, but it spoke to me deeply in the opening pages. Merton opens his prologue, “Mysticism in Man’s Life,” with the words, “The only thing that can save the world from complete moral collapse is a spiritual revolution. Christianity, by its very nature, demands such a revolution. If Christians would all live up to what they profess to believe, the revolution would happen.” These words devastated and inspired me then, and they still do now. 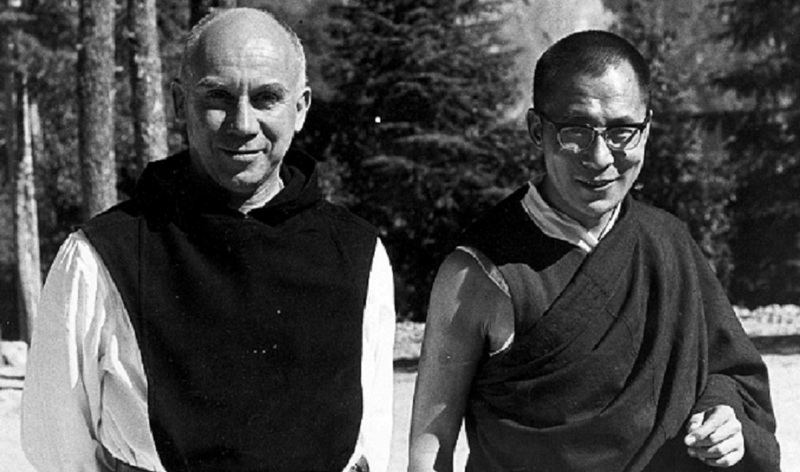 The revolutionary solution that Merton proposed was not a Christianity that saved the world through political power or through the culture wars, but a world that was reconciled to God because men and women answered a call to the conversion of their hearts. “You cannot save the world merely with a system,” he writes. Only devotion to God, which in Merton’s mind included a call to an inner life shaped by contemplative prayer, was essential. If we want to change the world, if we want a revolution, it must first take place in our hearts. The Ascent to Truth goes on to explore mysticism, modernity, and especially the thought of Carmelite mystic St. John of the Cross. It is a rewarding book to read, and one I have returned to over the nineteen years that have lapsed since I first saw that picture. In those years my life has seen many changes. Like most lives, there have been joyous mountain tops and dark valleys to traverse. There have been dark nights of the soul. There has been dogmatic certainty tempered with healthy skepticism. What has been consistent, however, is Merton. He has been my constant companion. I’ve been challenged, encouraged, frustrated, and angered by his writings. He has moved me to laughter and to tears. I’ve argued with him and about him. I’ve been disillusioned by his failures when I’ve tried to make him a saint and comforted by his humanity when I was reminded that he was just another guy trying his best to figure out his place in the grand scheme of things. I will ever be grateful for the life, witness, and writings of Thomas Merton, and the role he has played in my life. Note: This is probably going to end up being a two-parter. I am formulating another post that would be my essential Merton reading list. Hopefully that will appear sometime this weekend. I have friends and family members with widely divergent opinions on matters religious, social, and political. Most days I enjoy the diversity of opinion, even the ones that tend to get me a bit rankled. Every now and again I come across a comment – usually on social media – that catches me off guard. Today I had one such encounter. I know, very articulate of me. I have the type of relationship with the commenter that actually exists in the real, offline world, so we ended up chatting by phone. My assertion was simple, Muslims can, have, and do assimilate into Western culture. I pointed out a few things in the conversation I share here. Yes, there are in fact Muslims who are bent on the destruction of the West, who hate the United States (even though they live here), and who would like to impose a theocracy based on a cultural-religious ideology. No need to deny this. They exist. As do believers in Christian Dominionism, many of whom advocate the use of Mosaic law to govern, but I digress. Most perceptions of Islam in our culture are shaped by the news media and now by the internet. The dominant images you see in the media are overwhelmingly negative images of Islam. Why? Because media – right of left – is not an objective transmission of clear facts. It is dependent on advertising revenue and ratings. What sells? Extremes sell. Scary sells. Threats sell. Living in the suburbs of a large city I turn on the news every morning and hear reports of shootings and home invasions. It gives you the impression that there is an epidemic of violent crime sweeping across our nation, even though the reality is that violent crime has dropped by almost 50% over the last twenty-five years. When we see the crime reports, even when they are awful, we are seeing the exception to behavior. Who is going to turn on the local news and watch a reporter standing on a quiet street, reporting on how quiet it is? No one. The same goes with our coverage of Islam in America. Angry Muslim men proclaiming their desire for Sharia in the streets of Dearborn is going to garner far more attention than the Muslim mom dropping her kid off at school and then going to the market to buy groceries. The media doesn’t report on Islamic assimilation precisely because assimilation really is the norm. I’ll share a story from my own family. My wife’s mother emigrated here from Turkey as a teenager with her parents and siblings. They settled in the mountains of North Carolina. The children went to school. The father worked to start a successful restaurant, then another. Two of the children, including my mother-in-law, married Americans. All three of the siblings raised families, started businesses, and had careers. Other than accents and names that sounded a little strange when rolling off a Southerner’s tongue, nothing really set them apart. They have maintained their Turkish heritage through language and food, which they relish as part of their identity, but they are Americans. Boring Americans at that. They get up, go to work, come home tired, love their families, spoil their grandkids, and sometimes swap stories about how they miss their home in Turkey, but all are glad to be here. Even though my mother-in-law might drive me crazy at times, it has nothing to do with her being Turkish or a Muslim, it has to do with her thinking I am not good enough for her daughter. To be honest, she’s right about on that account. Really, this is not remarkable. It happens every day. There is an inherent danger when we paint entire groups of people with the same broad brush. Islam is the fourth largest faith group in the U.S., with estimates ranging between five and twelve million Muslims. While a small portion of the overall population, it is certainly large enough to be a diverse group, representing several different national origins and language groups, and covering a full gambit of social and political beliefs and values. My experience with Muslims in America is that while they may not think the U.S. is a utopia, most are glad to be here. I told one of the novices that he had no vocation and he was delighted. With immense relief he prepared to leave. – Thomas Merton, Conjectures of a Guilty Bystander, p. 297. Like so many others, I was saddened to hear about the death of actor and comedian Robin Williams yesterday. My oldest heard first, and came tearing the down the stairs to tell us. At first I figured it was your typical internet hoax, but that was not to be the case. Last night, as our own way to pay him homage, we watched Dead Poets Society. This morning as we were in the kitchen, Ezel commented on how his death felt so oddly personal for her and for countless others. She asked me why I thought that was. At the time I didn’t have an answer, and really I still don’t have an answer. But it does feel like a personal loss. Upon some reflection, I can only speak about why it has impacted me. It is now fashionable to take swipes at Dead Poets Society (DPS). I read a rather mean-spirited article recently by an English PhD who clearly stated he sought to pick a fight about the film. He went on to bemoan the way poetry is used in the film, and the lack of any critical analysis. He was also unhappy with how it betrayed his profession. I can grant that to the author. As a cleric, I find we are rarely portrayed well on film as well. Of course, it is a movie, not a documentary, but I digress. DPS did something for me and for countless others. It helped us fall in love with poetry and the written word. I was fifteen years old when DPS came out. I had not read Walt Whitman or Henry David Thoreau, at least I don’t recall reading them. Like the students in Mr. Keating’s class, the thought of reading Shakespeare sounded brutal. I enjoyed novels and non-fiction, but poetry seemed inaccessible. Because of the passion with which Robin Williams portrayed Mr. Keating, I sought out my first copy of Whitman and consumed it like a starving man consumes a meal. No, I didn’t have access to critical analysis of the poems. I did not know all about Whitman’s past and what informed his writing, but I could not get enough. Twenty-five years later I have a creased, dog-eared copy of Whitman’s Leaves of Grass that is perpetually on my nightstand. Sometimes I read selections to my children as they fall asleep. Every couple of years I revisit Thoreau’s Walden. Just yesterday – before I heard the news – I was reading Thoreau’s Walking. I’ve learned a great deal about poetry and literature in those years. I’ve even seen that critical analysis can be a good thing, as I learned in literature courses I took in college. I would not have done so if it weren’t for the infectious way that poetry was presented in that movie. I don’t claim to be a serious scholar of poetry. I am just someone who loves the written word. That love was deepened because of that movie. I am convinced that no one else could have played that role but Robin Williams. He was subversive and funny. His mischievous grin would quickly give way to a stony stare of someone saying something that was deadly serious. He portrayed Keating as one working to make sure that the sparks of creativity still existed even among those destined to be society’s leaders in commerce and politics. As silly as it sounds, when I hear or read the words, “O Captain! 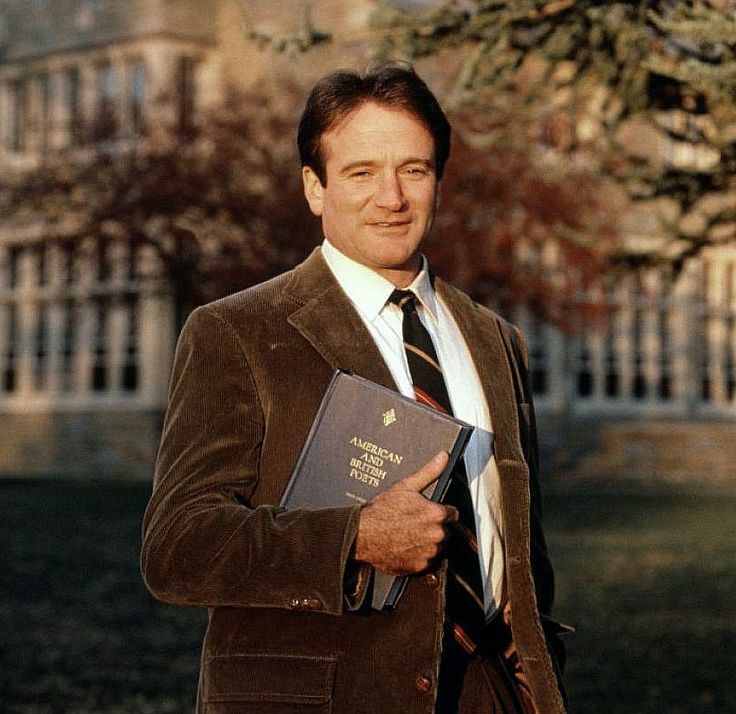 My Captain!” I still think first of Robin Williams as Mr. Keating, with gratitude that because of his role in that film, I now converse regularly not just with Whitman and Thoreau, but with Milsoz, Neruda, Bukowski, Auden, Shelley, and countless others. I will always feel a debt of gratitude for the introduction. My hope is that his untimely death and the manner in which it occurred will also help broaden the conversation in our culture about mental illness and depression. My prayers – and my gratitude – go with him and his family. I’ve taken a step back this summer from most everything, including trying to blog regularly. There is a lot of change taking place in our home. My oldest is transferring from one University to another after two years of living at home and going to school locally. Naturally this is both exciting for all of us, but I would lie if I told you I am not a little sad that he is leaving. He’ll only be an hour and a half away, so it isn’t like he is moving cross country, but it is still a big adjustment for the family. My wife took a new job at a large private school here in our area. It seems like a good career move for her, but a change in lifestyle for us. The school is of a more evangelical Protestant outlook than our own church. I would like to think that won’t be a big deal. Our two youngest will be attending school there thanks to a generous benefits package that makes it affordable. It is academically well respected, but like with anything else, it is another change. Our two youngest had been attending a rather small Methodist related elementary school since Pre-K that we (and they) really liked. So it is not just a change for my wife and I in our family routine, but also a big change for the little ones. I guess it is true to say that change is the only constant in life. 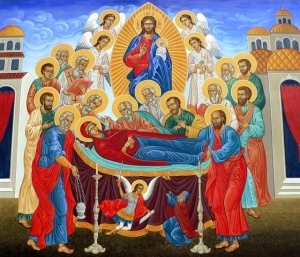 Still, I covet the prayers of any willing to offer them during this latest life transition. For much of the last part of the summer I stepped away from reading much theology. I’ve not been interested. I revisited Thoreau’s Walden, as I am prone to do from time to time. I’ve taken a good deal of time for introspection, for playing with my kids, for working in the yard, and for wrestling with those seemingly ever present “big questions.” And no, I haven’t come up with any answers. I’ve been serving full time in the church for twelve years now, nine of those ordained. For someone who wasn’t sure that this was their calling, I find myself in my 40’s and nearly “mid-career.” It has caused me to stop and reflect on what it means to be a career clergyman, one who earns a living serving the church, and yet one who has his own questions about the current state of the church. I am struggling, to be honest, as I look back over the years and see how my theology, practice, and expectations of ministry, the church, and my faith have changed. I can’t help but feel like this is all leading to some place or some realization, though I have not had any “a-ha” moments. Stay posted. As soon as I figure out all the mysteries of the universe I’ll blog about it. As for the moment it is time to get refocused in the midst of much change.